JO KONDO’s WORK LIST -MUSIC- [Japanese version] is completed! The Minister of Education, Culture, Sports, Science and Technology’s Art Encouragement Prize or the Art Encouragement Prize for New Artists are presented to persons whose outstanding achievements have opened up new vistas in a given year. They each are awarded in 11 fields: drama, film, music, dance, literature, fine arts, broadcasting, popular entertainment, development of the arts, criticism, and media arts. 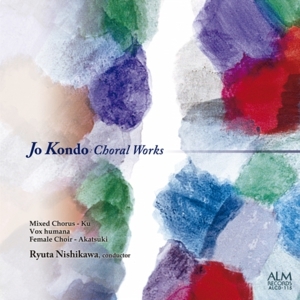 Open the website of JO KONDO, composer !